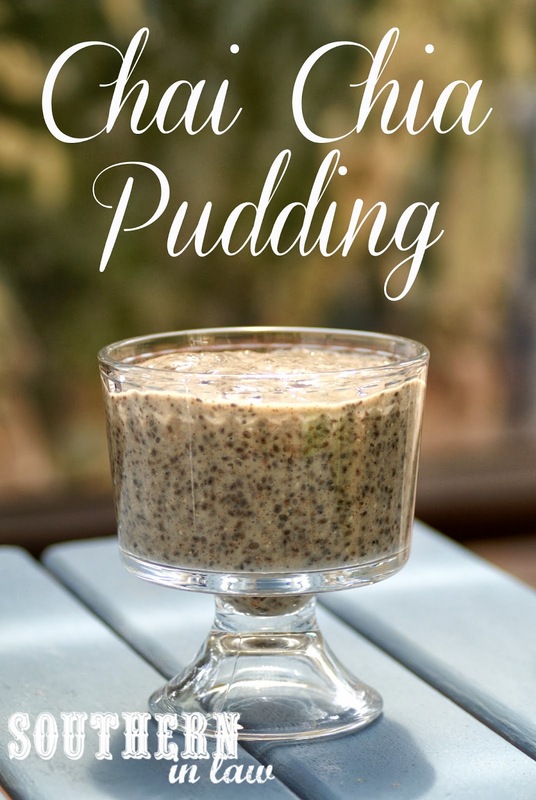 I was actually going to re-shoot this recipe as I wasn't happy with the photos, however, when SIL Reader Georgina told me that Chia Pudding was one of the only dessert recipes she can eat that doesn't take hours upon hours of work, I knew I had to share it with her right away - and I wanted to share it with you all too! 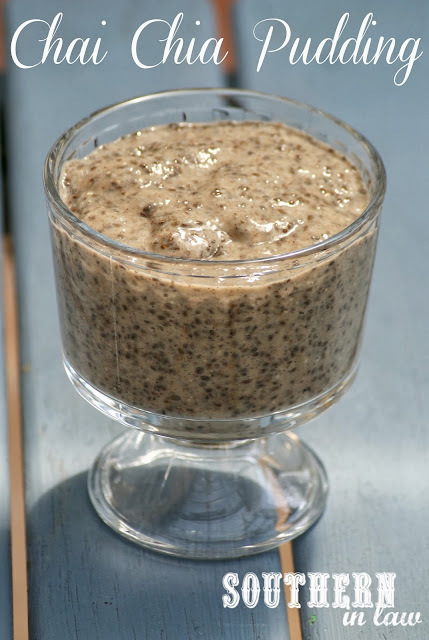 Chia Pudding isn't the prettiest food in the world - but this Chai Chia Pudding is absolutely delicious, so who cares about looks. It's super simple to make and perfect for breakfast, dessert or snacks. I like to top mine with fresh fruit, blueberries or banana being my favourites, but you can top it with whatever you feel like or eat it as is. Making this in a food processor or blender means that you don't have to wait hours to eat it or spend hours stirring, however, you can also mix it by hand if you don't have a food processor (instructions below). But let's get onto that recipe, shall we?! In a food processor, add your chia seeds and pulse for about a minute to break up some of the seeds. Add in all of your other ingredients, mixing until your pudding starts to thicken (about 2 minutes). Can you get any simpler than that?!?! *We usually use this recipe to make 2 meal size servings or 4 smaller snack sized servings. But tell me, what dessert is your absolute favourite? And what chia pudding flavours do you think you'd love? I keep meaning to make chia pudding...I have only had my eye on the chocolate variety, but chai sounds awesome (and a bit less sweet, which is nice)! Good idea. Definitely try it out, Kelly! I was wanting something spicy and not so sweet so this was perfect - and we've made it dozens of times since! Just prepared the pudding! I needed a maple for my taste - but I'll let you know how it goes tonight! Thanks for the recipe! Can't wait to hear what you thought! What a wonderful holiday treat. I know they are just delicious. Thanks for sharing this one.